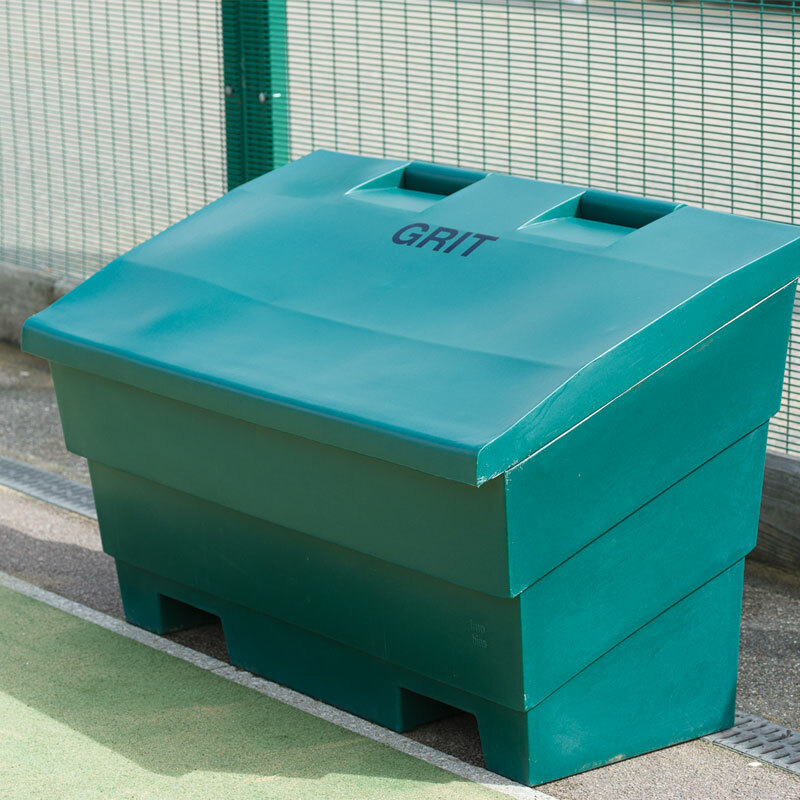 The Harrod Sport ® Grit Bin is ideal for ensuring paths and walkways around pitches and playing areas are safe in freezing temperatures. Freestanding, strong reconstituted PVC grit/sand bin. Height 775mm, Width 1156mm and depth 385mm. 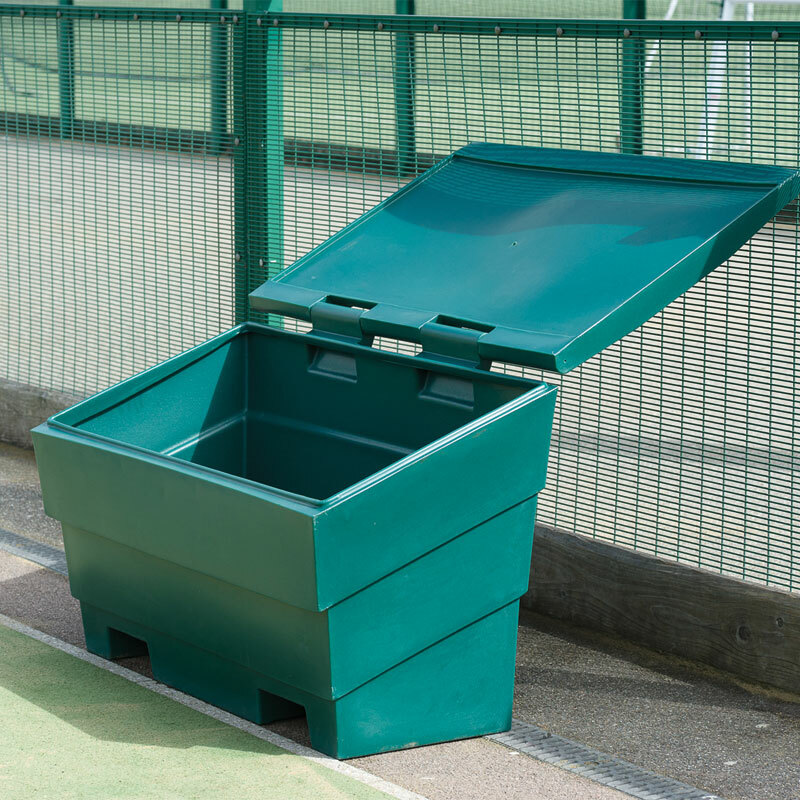 Holds up to 336 Litres of sand or grit. 15kg per bin when empty.